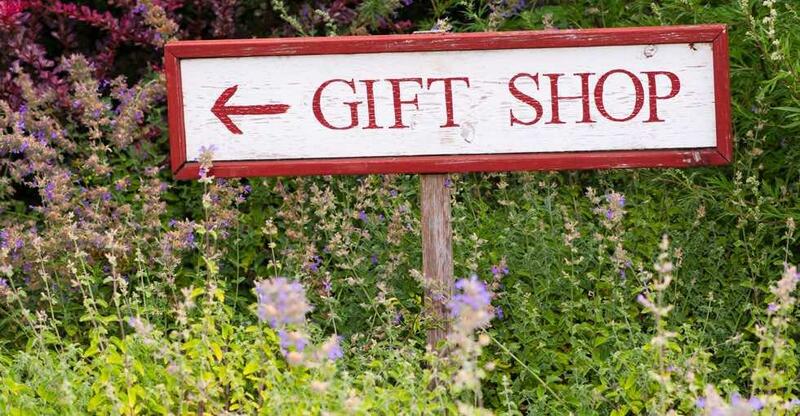 For retail insiders, it’s the subtle differences that count when it comes to gift shops. Are you attracting tourists or mainstream shoppers? Perhaps catering for street-market browsers? Or does your premises double as an art gallery or coffee shop? According to Stats SA, people in South Africa spent R31,900 per second in retail stores during 2017. Trading Economics reveals that year-on-year retail sales in South Africa increased by 1.3% in July of 2018. Stats Biz reports that the average price of a 150 g chocolate slab was up just 2.8%, and clothing only increased by 1.9%. The gift shop industry is extremely diverse, so retail opportunities come in many shapes and sizes. At the lower end of the range, a small gift shop for sale suitable for an individual trader would typically be put on the market for around R200,000. Meanwhile, at the top end of the market, a more exclusive opportunity or larger premises with staff and a healthy turnover could fetch R2,100,000. As would be expected, many gift shops have a marked tourist focus. However, all consumers are now much more inclined to look for a shopping experience which goes way beyond just a purchase. That can be addressed in a number of ways. One answer is to offer a range of gifts in a truly unique location, such as rooibos from a shop in the Cederberg region, or soda-can artwork created locally. Another alternative is to sell gifts within a coffee-shop environment or at least site your shop in an area close to cafés and restaurants. Popular public spaces and meeting places will allow you to take advantage of modern lifestyle expectations. Another global trend which will also impact upon the gift industry is the increasing importance of brand and reputation. Often driven by younger consumers influenced by social media, many consumers are now seeking gifts which represent what the brand represents. This will often be in the shape of an ethical or environmental focus. What does running a gift shop business involve? Apart from taking the money and wrapping goods, running a gift shop also entails keeping your displays fresh and inviting. In many cases, this will mean keeping up with seasonal trends and noting special celebrations – like Mother’s Day, for instance. You should also keep a discreet eye on what your local rivals are doing, to avoid unhelpful duplication. This will also help you remain aware of new trends and opportunities, and also to note when your own prices are becoming uncompetitive. Remember too that your stock is all-important, so you will need to keep in regular touch with suppliers to ensure any issues are quickly resolved. Furthermore, any items warming your shelves should be temptingly discounted, put into your clearance area or priced to go. What people might be suited to the gift trade? You should accept that the normal holiday season is likely to be your peak time – so, for now, dream holidays may not fit well with a sound business strategy. With regards to skills, the gift-shop business is often about small margins, which in turn means you must have a good head for figures. In addition, you will find that running your shop involves finding space to stock and display a multitude of items. You must also be a person who understands how to keep a retail space not only tidy but also looking attractive and uncluttered. Your retail location is absolutely critical to your success, so spend time making sure you get this aspect right. And inside your shop, you should treat your customers like gold, whilst also remembering that as a sales-person your goal includes the need to actually sell your goods. Above all else, your welcoming shop should reflect a defined style or theme with which your visitors will readily identify. At a personal level, you should always aim to stay right up to date with developments in your sector. That way, you’ll always speak the same language as your customers and thus be better placed to enjoy the day-to-day experience of growing your business.